For all those time when you need to overload yourself on carbs, I'd suggest digging into a waffle pop or ordering loaded fries from The Kream Story. The waffle pops, which are basically Belgian waffles on a stick come with an assortment of toppings that would leave sweettooths happy. Try the High On Chocolate version of the waffle pop that comes loaded with chocolate ice cream, chocolate sauce, and choco chips. They weren't kidding about the whole high factor. Oh, they also do the savoury kind with Pizza Meets Waffle your go-to order. Their fries menu has everything you need to get your greasy, cheesy cravings satisfied. 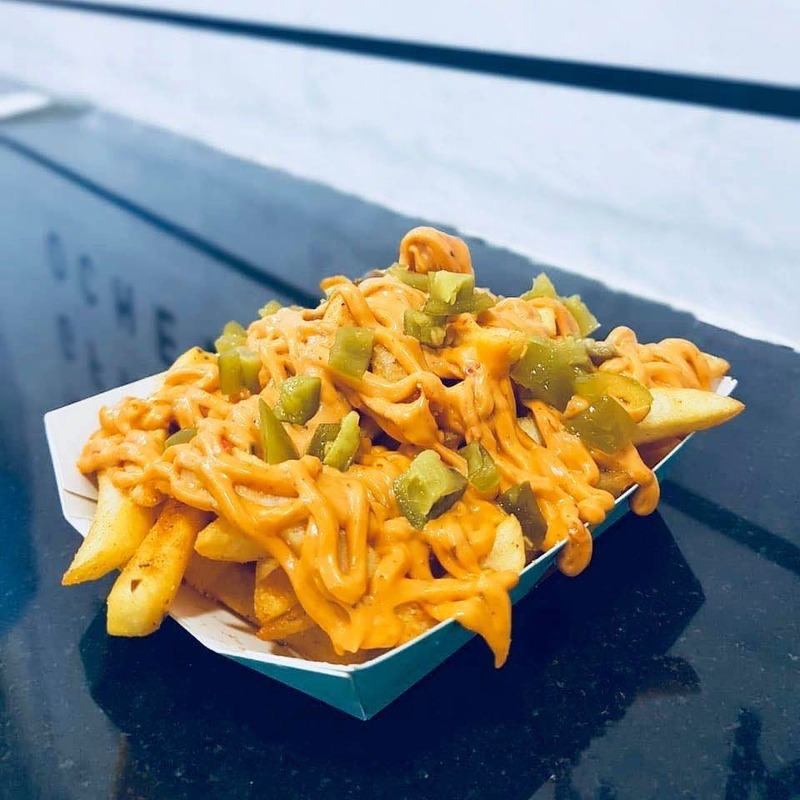 Triple Cheese Fries is the obvious choice but mix it up a little bit with some spice by ordering Spicy Mexican or the Peri Peri version. Or you could keep it totally old-school and order regular salted fries! They also do ice cream in a jar with flavours such as blueberry cheesecake and tiramisu.